Our accounting firm is known for making the tax preparation experience smooth for our clients. This is driven by many years of experience along with our full embrace of technology and clear communication. The result is timely and accurately prepared returns, while minimizing taxes. We are recognized by our clients and industry peers as a leader in this regard. In addition, we make it a point to stay on top of the ever-changing tax laws to help keep you informed. 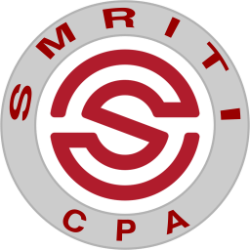 When you work with Smriti CPA LLC, we use a proprietary system of tax preparation that makes the entire process easy. It is not necessary to meet with us, in fact many of our clients prefer our system of remote tax preparation as it saves them time and keeps fees down.